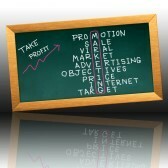 Non-profit marketing strategies offer their own challenges. While for-profit groups are looking for ways to maximize profits, non-profits seek opportunities to help fund their organization. The two have obviously different goals. A recent article talks about how non-profit marketing plans utilize resources in a different way rather than for-profits which look to increase sales and maintain a competitive advantage. A majority of non-profits don’t have competitors. This can be a double edged sword when implementing a marketing strategy. There is no clear cut way to measure whether or not the plan is successful. There are limitations with a non-profit marketing plan because the only way to really measure if it’s working is with subjective factors. While for-profit companies measure their marketing plans by the number of customers or sales, a non-profit marketing plan might take into account their accomplishments. For example, a non-profit literacy organization that provides books and tutoring services to underprivileged youth might measure success by how many children they taught to read or how many students earned their general education diploma. It’s tough to balance the organization’s mission with revenue. The group needs both to survive. Non-profits are allowed to generate a profit but that money must be retained for its own self-preservation. Finding that balance can be difficult and creative tensions can flare up during the process. The recession was particularly hard in the non-profit sector. These organizations are continuously forced to develop non-profit marketing strategies with limited resources and financial constraints. When revenue isn’t coming in, these groups rely on charitable donations to keep them up and running. In a downward economy fewer people give to their local charities. Couple this with weak revenue streams to begin with and many non-profits don’t survive. This is why it is important to have a successful non-profit marketing strategy. While there isn’t the same competition as Coke and Pepsi, these organizations still compete for every dollar and donation with the other 1.9 million charities in the United States. As government funding continues to decrease, a non-profit marketing plan is more important than ever. Contact us at Susan J. Campbell Copywriting Solutions about how to create a plan that understands your mission and obstacles. Let us help you find a creative solution to continue your good work. This entry was posted in Marketing Strategy, Nonprofit Marketing and tagged competitive advantage, content marketing, marketing, marketing strategy, non profit marketing, non-profit marketing strategies, social media strategy, Susan J. Campbell Copywriting Solutions. Bookmark the permalink.